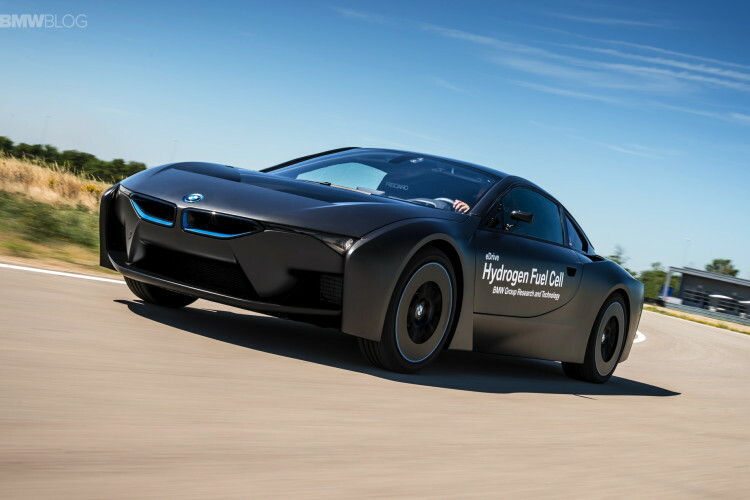 During a technology preview in Miramas, France, BMW demonstrated a i8-based hydrogen fuel cell research vehicle. 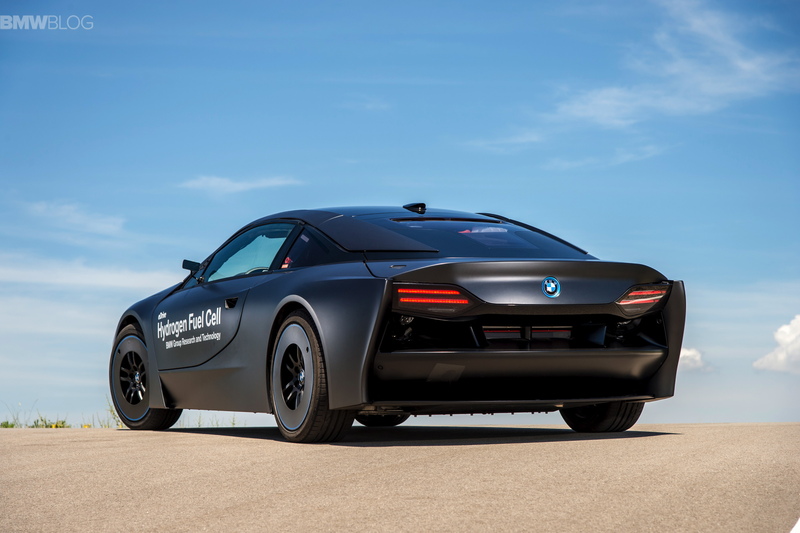 We were told this hydrogen i8 prototype was actually built in 2012 – before BMW signed a collaboration deal with Toyota – and is one of the very first i8 test mules made. This i8 test vehicle gets a tunnel tank mounted in the middle of the car, capable of storing hydrogen at 350-bar pressure, with an estimated range of over 300 miles. It runs from 0-62mph in around six seconds, and tops out at 124mph. 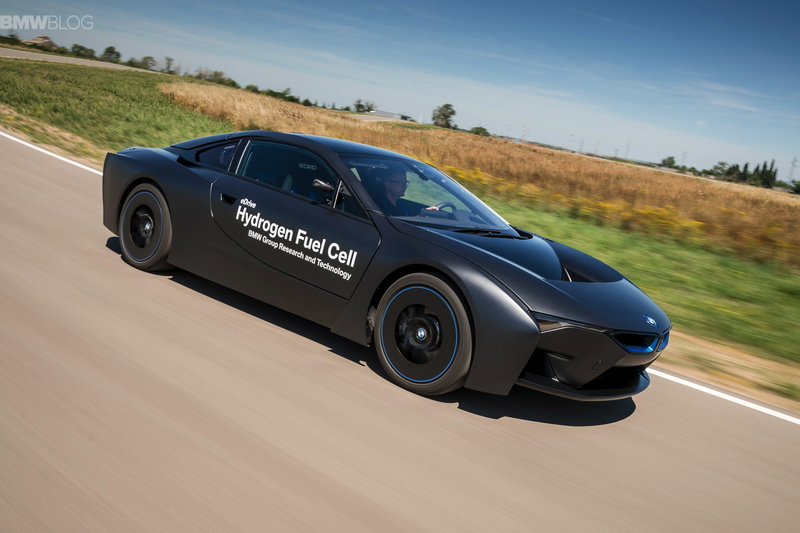 We can see that the hydrogen fuel-cell i8 boasts some aerodynamic modifications for a more teardrop-shaped silhouette. The front fascia has a new angular interpretation of the traditional kidney grille and fully integrated headlights. Two large air intakes are used to feed air to a series of front-mounted radiators. The rear end forgoes the floating, layered taillights, basically a more conventional and simplistic approach to design. 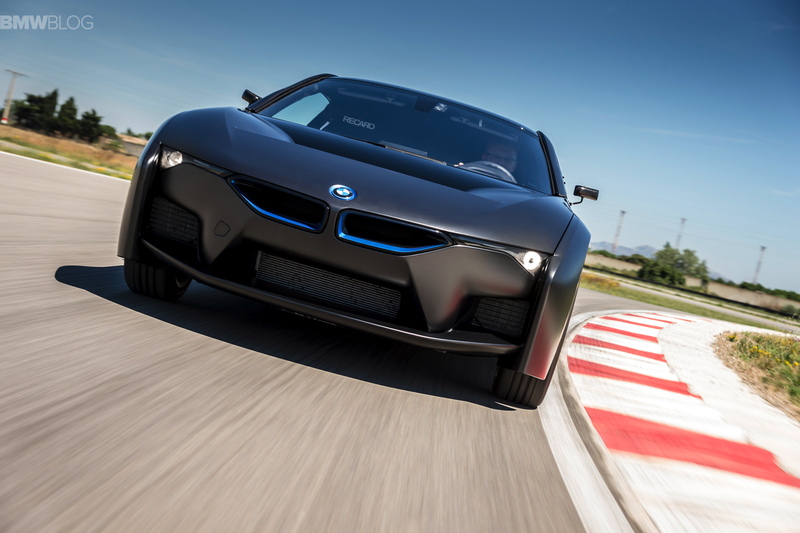 The fuel stack is placed in the rear where the standard i8 has the 1.5 liter three-cylinder engine.